Try to stick to one statement piece, whether that’s a bold necklace, bracelet or pair of earrings. It’s a formal and grand occasion, so don’t be afraid to wear some shinning sapphires or eye-catching tassels, but one piece of outstanding jewelry will be enough to complete your outfit, without weighing you down. If you want to wear a matching set of jewelry, complete with a bracelet, earrings or necklace, then go for delicate pieces. 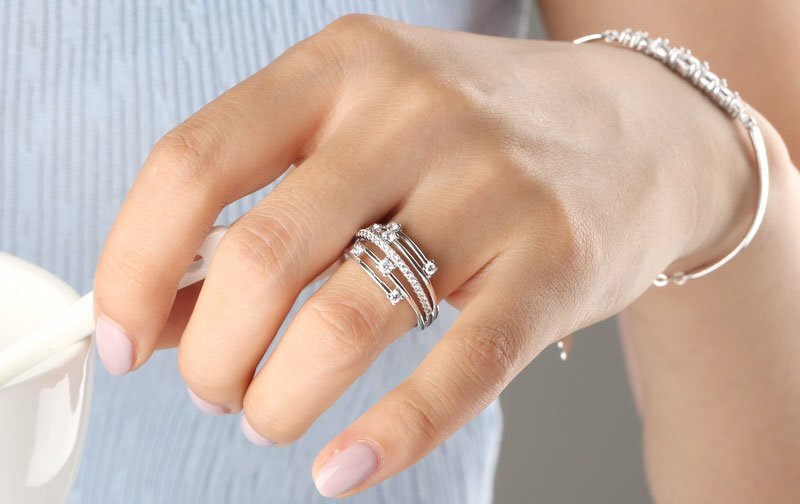 It’s easier to accessorize a set of jewelry when the pieces are sleek and simple. Stick with all silver, and don’t clash your pieces with too many gemstones or colors. After picking the necklaces, bracelets, and earrings, if you want to wear a ring on your hand, please don’t wear too luxury piece. In the process of a wedding, there is a major step, which is exchanging wedding ring. Don’t attract too much eye-light on your ring, simple will be the best.